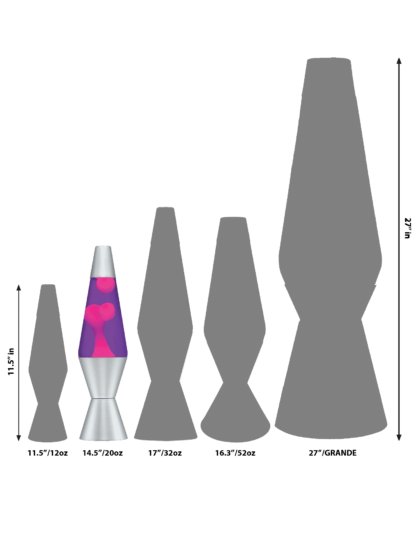 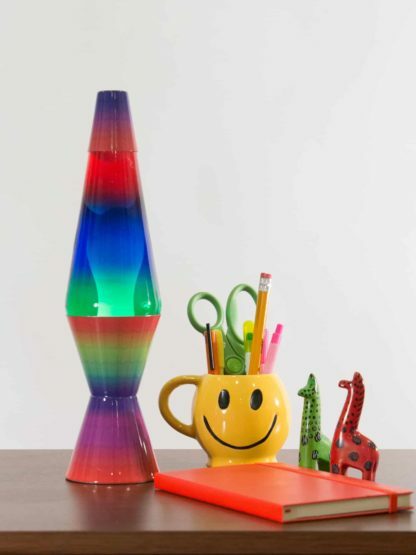 This Colormax TM LAVA® lamp spreads color and cheer! 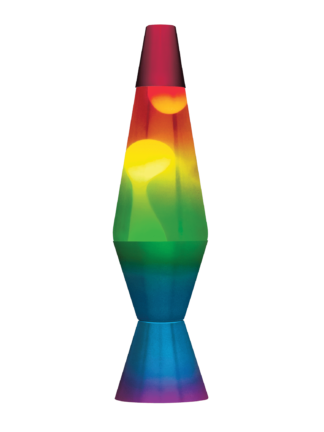 The rainbow graphics on the base and cap match perfectly to the rainbow of the multi-colored glass globe as the white lava flows up and down, absorbing the different colors and changing tone. 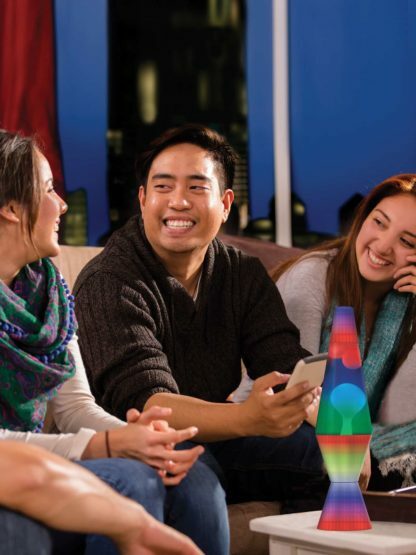 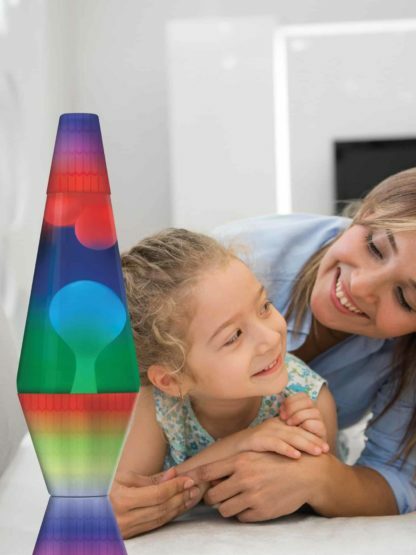 The beautiful rainbow lamp will bring color and a relaxed, happy vibe to any room. 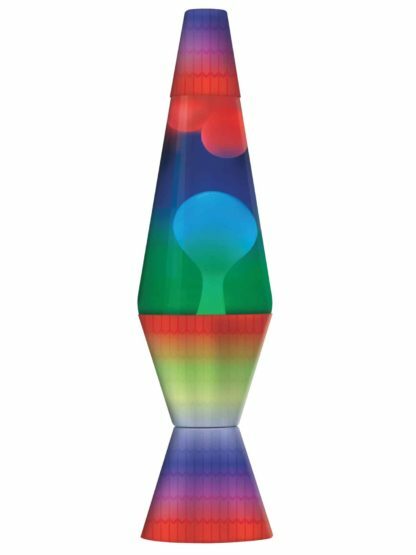 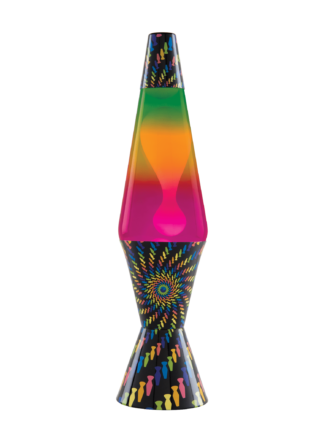 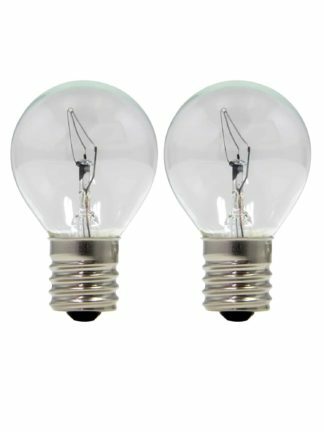 Watch the relaxing motion and enjoy this colorful version of a timeless LAVA® lamp.